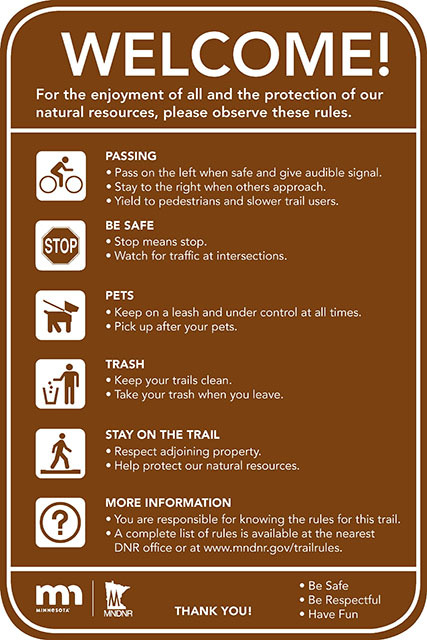 For the enjoyment of all and the protection of our natural resources, please observe these rules. Keep on a leash and under control at all times. You are responsible for knowing the rules. Overnight camping and campfires are permitted only on designated campsites, and never leave campfires unattended. Rules about using e-bikes, Segways, and other uses on state trails.